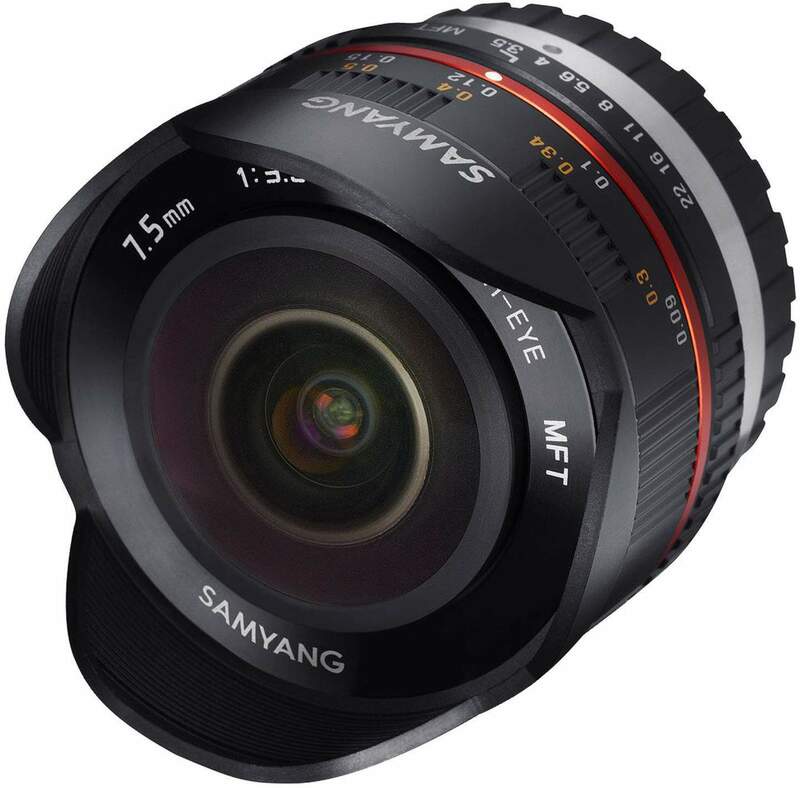 Samyang developed a specialist fish eye lens for the Micro four-thirds system, namely Samyang 7.5mm F3.5 UMC Fish-eye MFT. 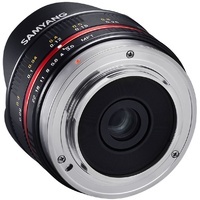 It fits with Panasonic Lumix G interchangeable lens series, and Olympus E-P, E-PL series of mirror-less digital cameras. Samyang 7.5mm Fisheye offers exceptional optical performance. 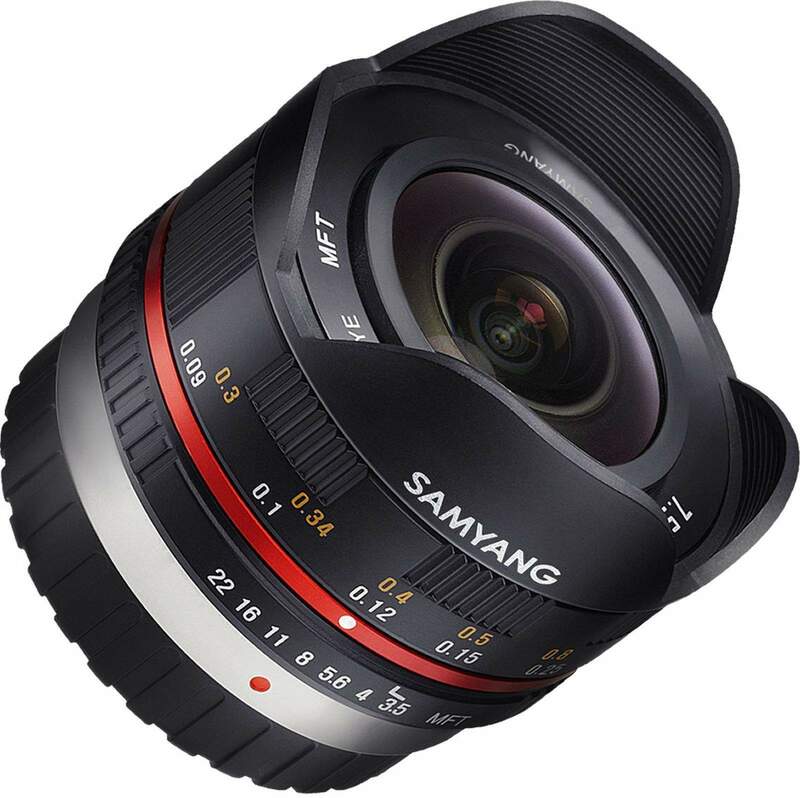 Offering an exceptionally wide angle of view, up to 180 degrees diagonally, the 7.5mm gives a unique fish-eye perspective and makes it a very useful lens for making panoramic photographs and virtual tours with 3rd party hardware and software. Samyang 7.5mm fisheye lens is extremely compact, yet it successfully combines some of the best optical features and comes in stylish construction, available in black and silver finishes. The lens construction is 9 elements arranged in 7 groups, 6 bladed aperture. 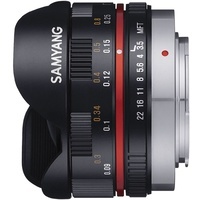 Its size is 48.3mm X 60mm, and is as light as 190g. 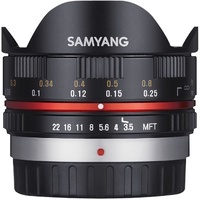 The fixed, built-in lens hood helps to block flare from behind the lens. 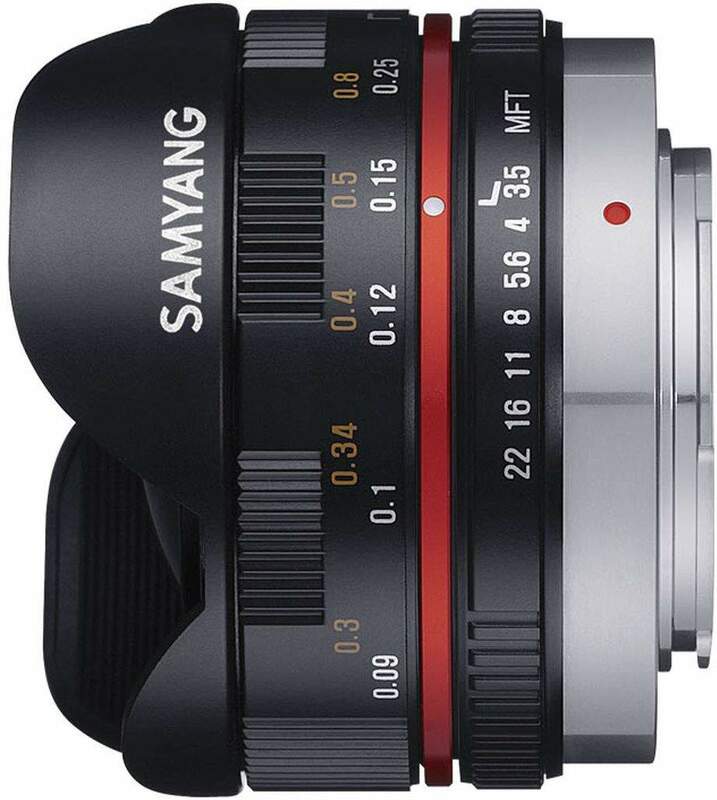 When using on some models of camera, including the Panasonic Lumix G series “Shoot W/O Lens” (Shoot without the lens) needs to be set to ON in the cameras menu to allow shooting with this lens.